See HERE for KJ Chesed Corner. Special United KJB Pesach Service on Shabbat at 9:30! See HERE for full KJ service schedule and join the community for holiday services. Get into that Pesach feeling with Jewbilation's Bye Bye Mr. Pharaoh Goodbye. Welcome Shabbat with a lively Beginners Service followed by a delcious dinner featuring a panel of community members sharing their personal IDF experiences. RSVP HERE. 3,300 years of Jewish tradition in 25 weeks! See HERE for details. NEXT TOPIC - Yom HaShoah - Holoacust Remebrance Day with Rabbi Chaim Steinmetz. Why do you pray? Jewish wisdom teaches profound techniques allowing us to make contact and communicate with something larger than ourselves and feel comfort and shelter within a reality that’s more whole, more intense, more real, and more beautiful. Come explore ways to make your prayer more meaningful. See HERE for more information or to register. See HERE for the full lineup including Hebrew, Parsha, Ramban, and more! 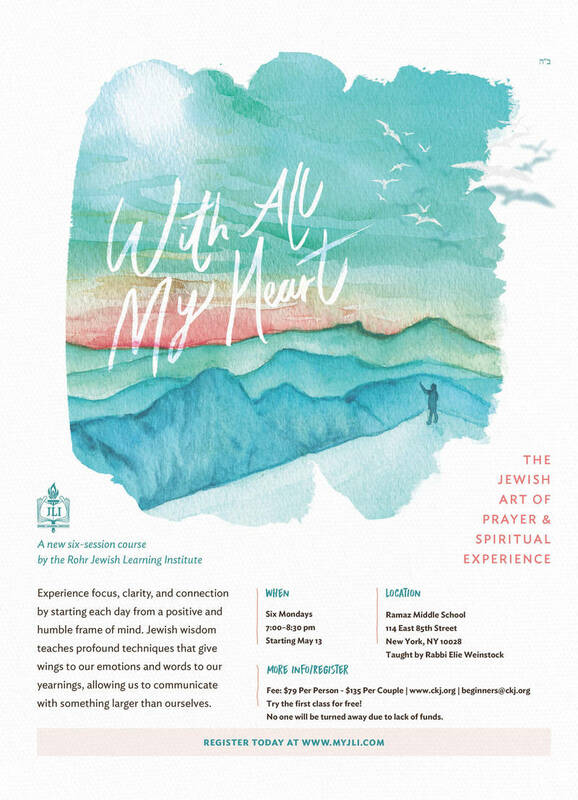 Join us for a lively prayer experience combining the best of the Learners and Intermediate Services and featuring the festival prayers, Torah reading, and joyous Hallel. Special Kiddush to follow - Matzah will be served! Passover, the Jewish Festival of Freedom, begins Friday night. This 8-day (in the Diaspora) festival commemorates the Exodus from Egypt on the first 2 days and celebrates the splitting of the Red Sea, which cinched our freedom, on the 7th and 8th days. For more information, see HERE. This is the official start of Spring vis a vis the Amida prayer as we discontinue our mentioning and asking for rain after the "Tal - Dew" service recited on Day #1. We also begin counting the Omer - the 49 days between Passover and Shavuot - beginning on the second night of Pesach. See HERE for details. One of the most famous parts of the Hagadah at the Pesach Seder is the listing of the four sons. We are all familiar with them – the wise, the wicked, the simple, and the son who does not know how to ask. The interpretations into who these children are and what they represent are numerous. The four sons are four types of Jews, they provide insight into parenting, learning, or teaching, and there are all sorts of ideas as to who the “best” one is. Based on a class by Rabbi Sam Shor of Isralight, I would like to share an insight into these sons to add to our understanding of the Seder (and Jewish) experience. We often consider the wise and wicked sons to be opposites, but the opposite of wicked is righteous not wise. Why is there no righteous son – tzaddik? The answer may be found in a comment of the Mishnah – “Kol Yisrael yeish lahem cheilek la’olam ha-ba,” which is translated as “All of Israel has a share in the world to come.” More accurately, however, the word “la-olam” means to the world to come and not in the world to come. The Talmud is actually teaching that every Jew has a path to reach the world to come. Every Jew can be righteous – even the wicked son. There is no righteous son to oppose the wicked son, since all of them – and all of us – can be tzaddikim – righteous.